The appearance of the new Amazon Fire Tablet 2017 is only slightly different from last year's tablet model. The plastic case with the minimum number of elements remained the same. On the front panel we see a 7-inch display, as well as volume and power buttons on the sides. 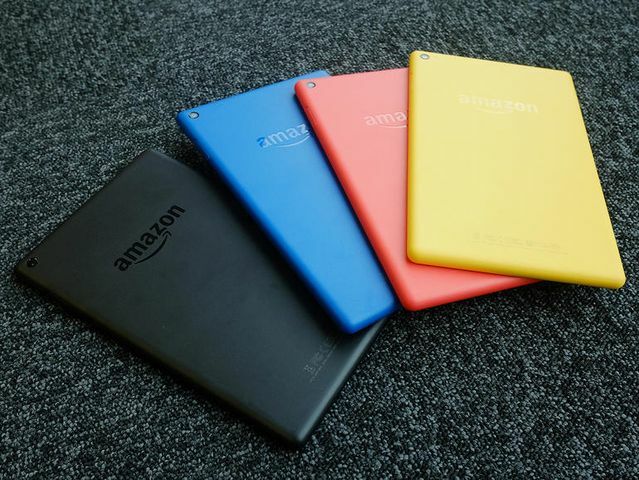 In addition, Amazon managed to make the tablet thinner, and also easier. This is really impressive, because the hardware has not changed so much. 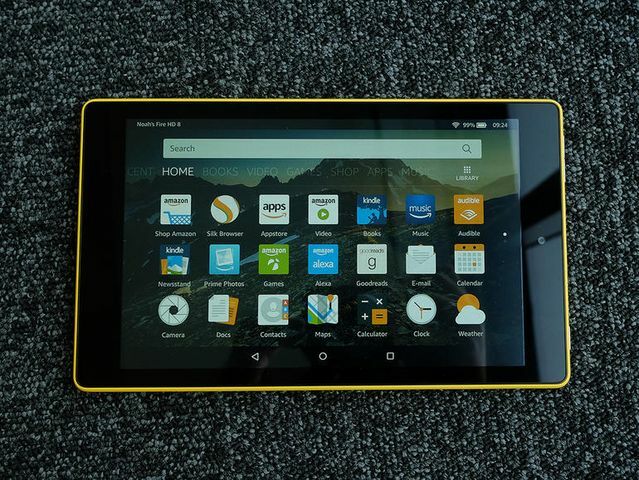 Tablet Amazon Fire Tablet 2017 runs on a quad-core processor with a clock speed of 1.3 GHz, and also offers 8 GB or 16 GB of internal memory to choose from. Now the Wi-Fi module is dual-band for continuous streaming of data. On the side is the slot for the microSD card, so you do not have to worry about the lack of free memory. With regard to battery life, the Amazon Fire Tablet 2017 shows amazing results: an extra hour of work compared to the previous generation of the tablet. Amazon claims that the device works for 8 hours of active use. The tablet is still charged through the microUSB port, and not the new USB Type-C, but it's understandable given the cost. 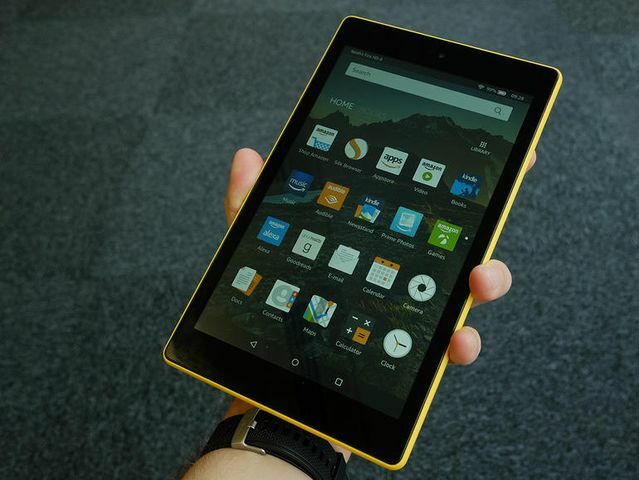 7-inch display Amazon Fire Tablet 2017 has the same resolution as its predecessor - 1024 x 600 pixels. This is quite unusual at a time when many manufacturers are producing smartphones with Quad HD screens, but then we would not be able to buy the Amazon Fire Tablet 2017 for 4000 rubles. IPS panel has become more contrast and vivid than last year's model. Photos and videos should look a little better. 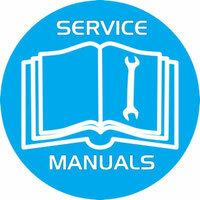 Unfortunately, we do not have both models on hand, so we can not visually see improvements. 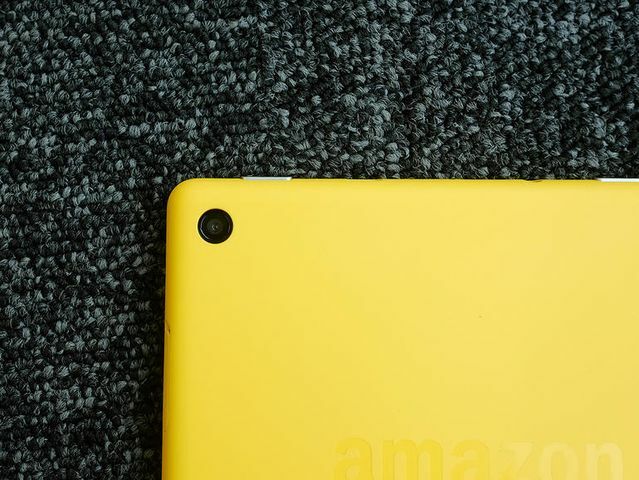 However, we are confident that Amazon will not use a bad display for its tablet, unlike many Chinese manufacturers, as the image of the company is quite important at the moment. 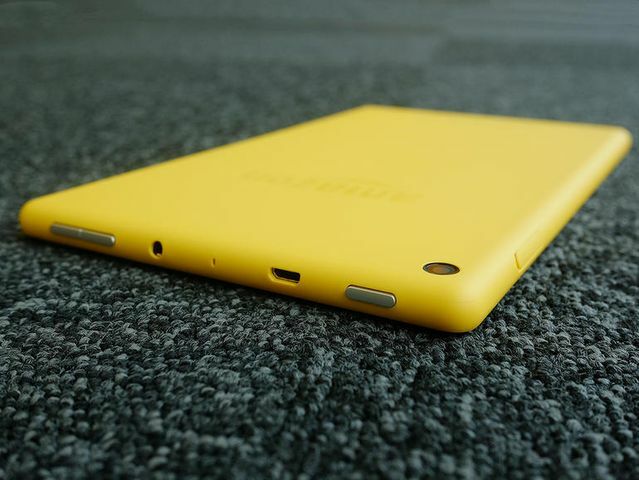 The tablet comes with a 2-megapixel main camera. We can not comment on the quality of the photos, but even if they look good on the tablet screen, you can change your mind when uploading pictures to a device with a higher resolution screen, such as a computer. 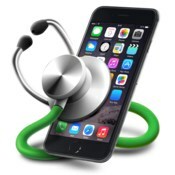 If the hardware was only slightly improved, the operating system received several new features. In the queue, we should mention Alexa. This voice assistant with artificial intelligence. Unlike Echo or Echo Dot, the assistant Alexa does not always listen. You need to click the Home button to activate the voice assistant. You can ask him about almost everything: football matches, weather forecast, the president of the country of Uganda, and much more. Moreover, Alexa supports voice control playback. You can pause the video or continue with voice commands. As for the rest of the Amazon Fire Tablet 2017 software, it remains the same. 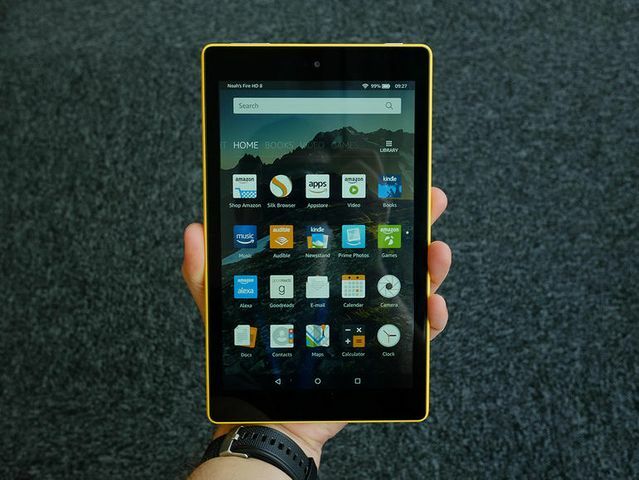 As you know, the Amazon tablets run on the FireOS operating system. The main screen of this platform offers shortcuts to Amazon's web pages, streaming services and applications. Unfortunately, the official Google Play store store is not available. 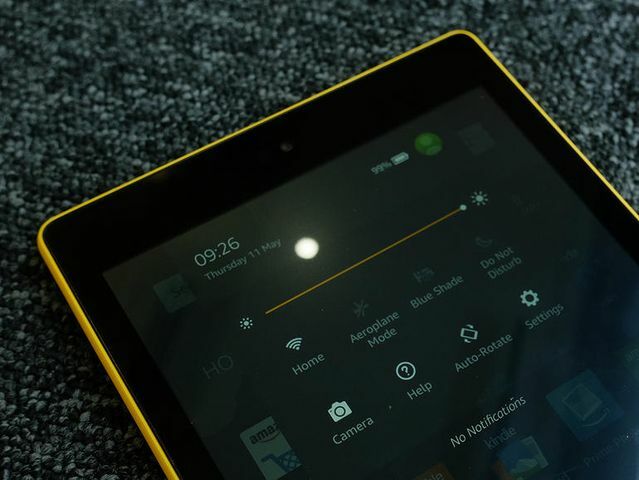 It also takes some time to get used to the FireOS interface.